A woman left ‘shocked and scared’ after being allegedly robbed of her purse and assaulted in Bexhill, with police appealing for witnesses. 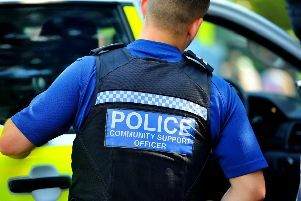 The 63-year-old woman from Polegate was hit in the chest by a man and her purse was stolen on Cooden Sea Road at around 4.30pm on January 11, police said. The suspect is described as white, aged in his twenties or thirties, 6’, and of large build. He was wearing a dark coloured jacket with the hood up, and dark coloured trousers. Anyone who witnessed the incident is asked to email 101@sussex.pnn.police.uk quoting serial 948 of 11/1. You can also report online to https://sussex.police.uk/contact-us/response-to-appeal or call 101. Alternatively, call the independent charity Crimestoppers anonymously on 0800 555 111 or visit www.crimestoppers.uk.org.